In the mail yesterday was a postcard from my parents, who are on holidays on Lord Howe Island – a.k.a. Paradise on Earth. Apart from feeling very envious, it reminded me of the ‘Nothing Like Australia’ campaign from Tourism Australia, which I blogged about in September (see https://explorecomms.com.au/2011/09/19/nothing-like-australia/). I had forgotten that at the time I was going to post a photo from our last trip to Lord Howe. It’s the image pictured left, which has been an indelible memory for me from the time I stood on the cliff edge where the photo was taken a couple of years ago. What really struck me was how unbelievably clear the water was, and how, not long before the photo was taken, we had looked down on a pod of dolphins working together to herd a large school of fish into the shallows, and watched huge turtles idling slowly over the rocks. Also, if you click on the photo, you’ll see the full-size image – and the black spot in the middle of the picture should be recognisable as a bird. There were hundreds of frigate birds wheeling around us on the cliff edge, which was also their nesting site. And. from a photographic/artistic perspective, I really like the way that the dive boat so neatly cuts through the blue water with its white wake. However, when I opened up http://www.nothinglikeaustralia.com.au to submit my photo and brief description, I discovered that not only had the campaign closed, but it was no longer possible to contribute to the site. I was dumbfounded. Tourism Australia had developed a fantastic web property, but obviously believed that people were only going to contribute to it if they thought they would win a prize. I wanted to contribute my Lord Howe photo out of altruism. As an Australian, I am happy to do what I can to promote Australia as a tourist destination. 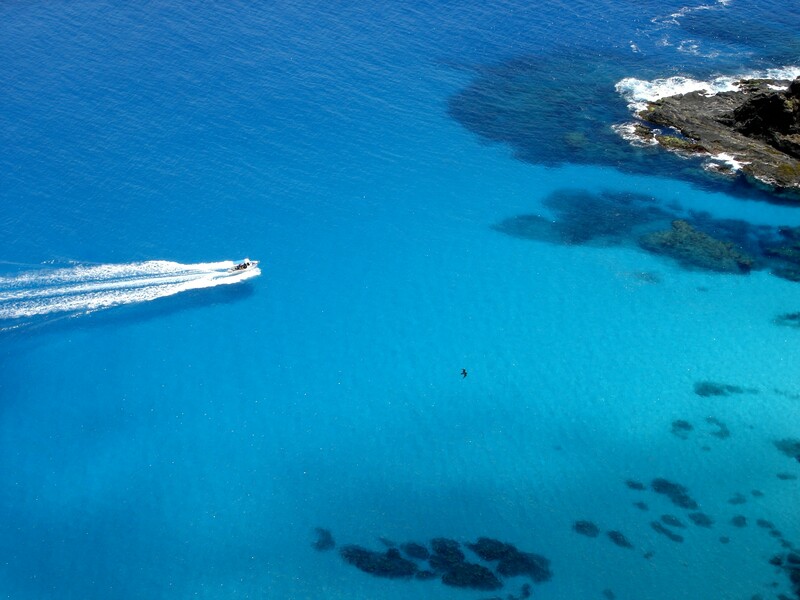 So, for what it’s worth, go to Lord Howe Island – it’s unbelievably beautiful. Great for kids too. Also – Zoofari at Taronga Western Plains Zoo in Dubbo is worth the visit. It’s great to have the opportunity to see the animals up close and after hours. Given I couldn’t publish any of my photos to Nothing Like Australia, here’s an album of photos on Flickr. I’m just sorry I couldn’t say any of this on Nothing Like Australia.